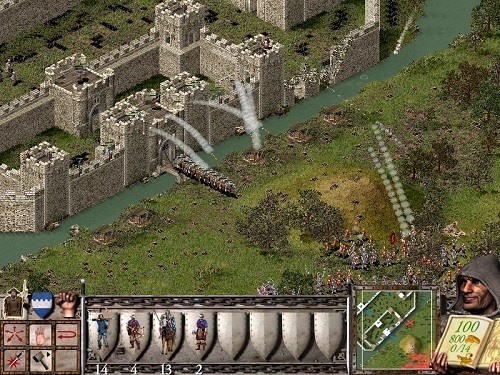 Stronghold is a real time strategy game developed by Firefly Studios that has a historical game setting. The game is very much focused on the military aspects of strategy games but still has some economic elements in its gameplay. The success of the game led to the creation of several sequels and spin off game titles some of which were successful while others were unfortunately complete failures. The original game is still one of the most popular and well rated in the series despite its age. Stronghold puts the kingdom under your control as you take on the role of lord in order to create an economy capable of supporting the war effort against the various invaders you’ll come across. The campaign has you travelling the country side as you attempt to reclaim control of the kingdom one county at a time, ultimately defeating the four lords that oppose you. Once you’ve completed the battle focused campaign you will be able to access the economic orientated campaign that lets you rebuild the kingdom to its former glory while dealing with disasters and bandits. Uniquely you won’t find a rock-paper-scissors style of combat with the game featuring no true counters. The combat system is designed in such a way to reward careful use of all units and heavily focused on having the better trained and upgraded troops (which comes from a sound economic foundation). 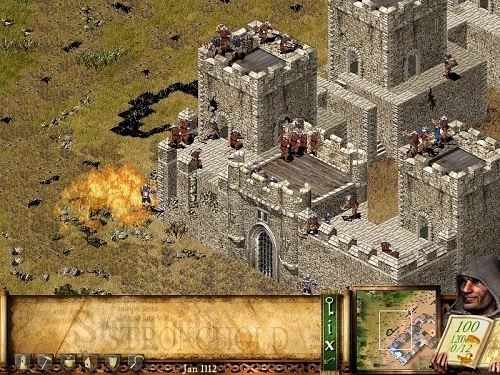 The game also uses fire as a core game mechanic, drawing on how devastating a fire could be in medieval times which adds another unique element to the gameplay and helps make you feel more like a lord in medieval England. Fans of the RTS genre will find that the game has plenty to offer in terms of gameplay with over 20 missions to work through in what is one of the higher rated real time strategy games around. Battle focused real time strategy game. Reclaim and rebuild the kingdom one county at a time. HD version allows you to play on higher resolutions for a better experience. Fire plays a very real role in gameplay. All around high quality experience.